It's been a busy couple of weeks entertaining and attending various friend groups for Valentines! And it isn't showing any sign of stopping just yet! Here is my small round kitchen table set for a intimate ladies gathering for four. 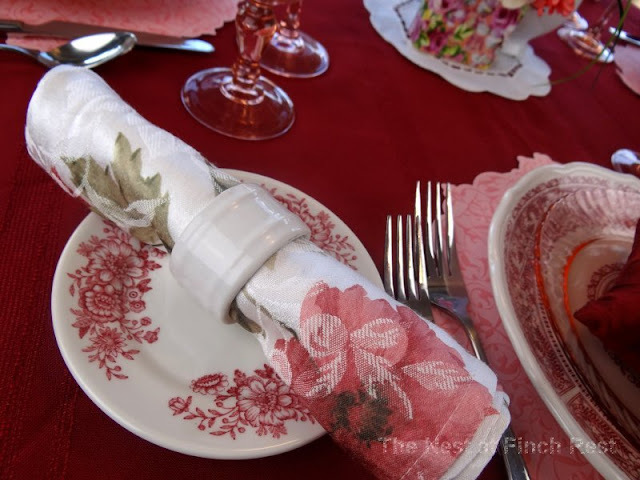 You may recognize the Pink Depression goblets, matching salad plates, and the scrapbook "chargers" that I used for a Valentine Afternoon Dessert Tea (here) last week. I am just using my everyday flatware. 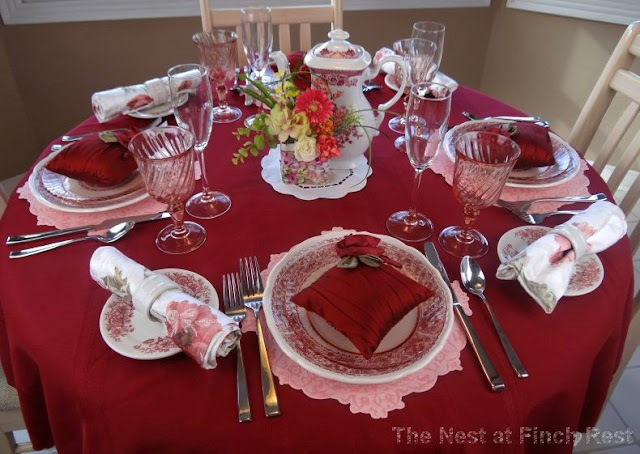 I did this theme in Cranberry red so I could use my large red and white teapot as a centerpiece - so I also am using red and white luncheon plates and bread plates. None of them match but they "play" well together on a table. I also brought out my pink base champagne flutes because I am serving Kir Royale for this luncheon. 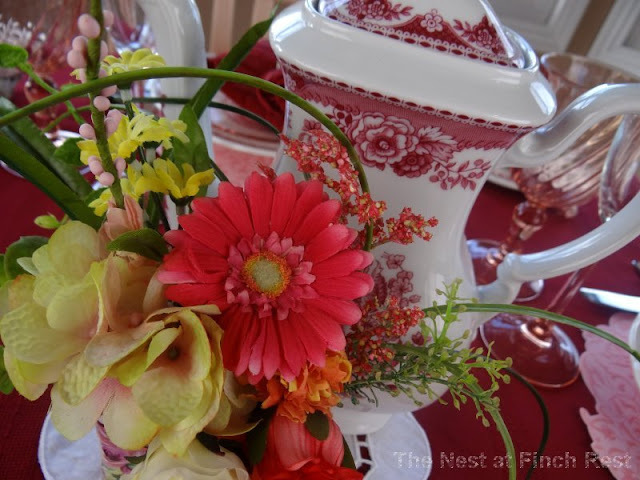 The centerpiece is simply a teapot and a small floral arrangement with a small doilie underneath. I love making up floral arrangements. This is one of my all-time favorites. I love the colorful rose floral chintz. Isn't that fabric rose pretty on these sachets? A very Happy St. Valentine's Day to everyone! 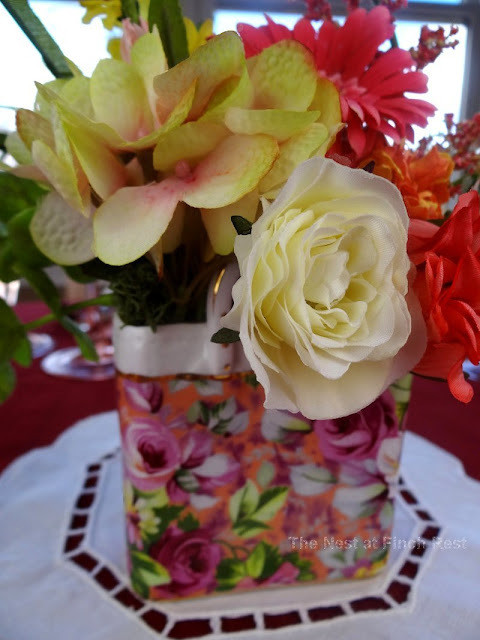 Please join me over at BNOTP for Tablescape Thursday! Your Tablescape for Valentines Day is Beautiful with the red's and white!! I love the way you had put this all together sweet. 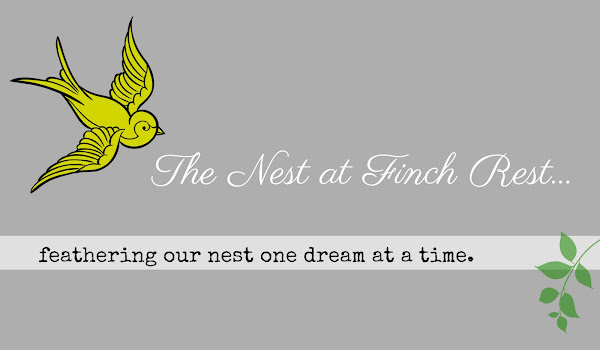 Thanks so much for becoming my newest follower on my Blog.and your lovely comments. Very pretty, Michele! I love those dishes and I didn't even notice they didn't match ~ you were right, they do play well with others! I really love your centerpiece, but the whole table is so pretty and charming! You are blessed to have so many friends to celebrate with at various gatherings! 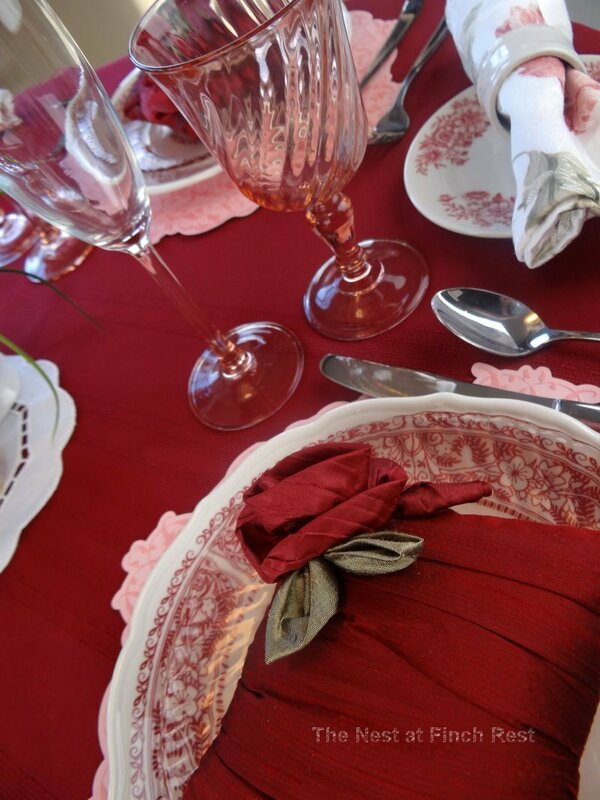 Beautiful table...love the transferware plates against the deep red of the tablecloth. Great idea making charger/placemats from scrapbook paper. What a lovely table Michele! You arranged everything so tastefully. 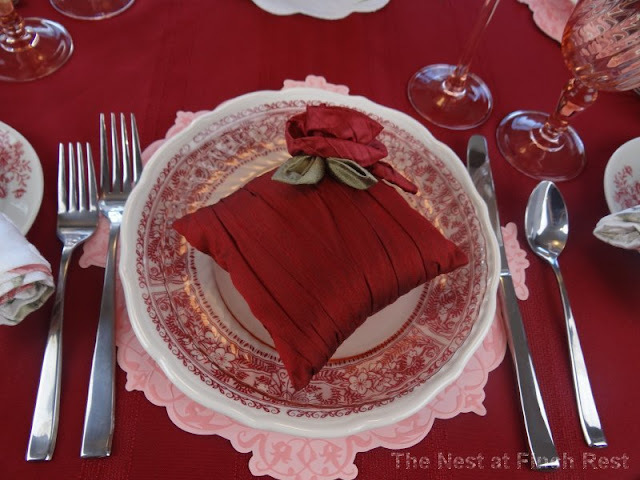 I love the red and white dishes, and any guest would love one of those pretty sachets. My grandmother had some pink depression glass plates with goblets like yours. They are just wonderful. Enjoy your luncheon! Thank you for visiting my blog tonight, and I'm so glad you enjoyed the Valentine ideas. Have a wonderful weekend! This is just beautiful! That teapot is stunning! I love everything about this table. Wow! I haven't seen sachets in so long...I have always thought they make such a beautiful favor!!! They're so nice to just toss in a drawer and make it smell good for months. I like your pink & red combo. Very pretty! The pink glasses are really pretty, too. I have one set, but have been looking without success for another. BEAUTIFUL teapot!!! Oh my gosh, you've made such a beautiful table. I LOVE the tea pot and the dishes. Simple, elegant and whimsical at the same time. Love this post! I love your layers and especially the teapot! 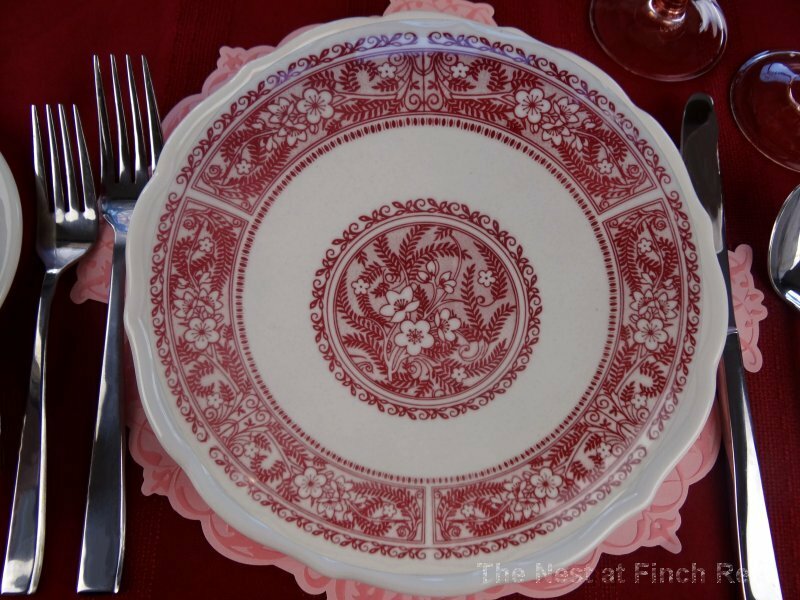 I collect red transfer ware too, and I actually just posted a link to the party at Between Naps on the Porch that is eerily similar to yours! Maybe we are kindred spirits! I hope you will check it out for fun when you get a chance. Beautiful table!! 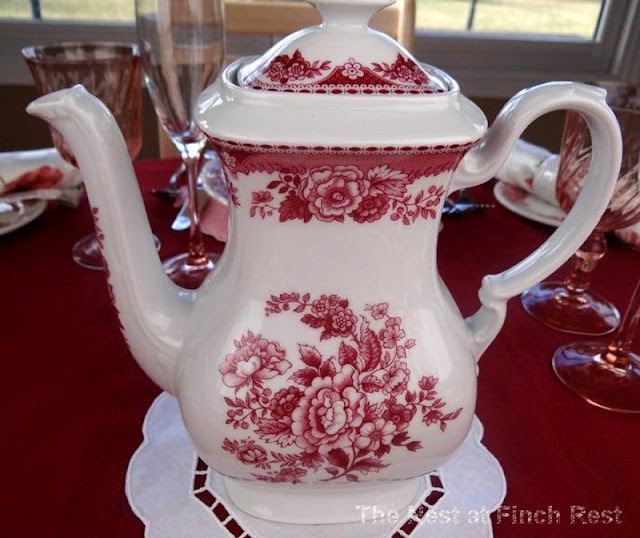 I love the toile...especially the tea pot! Your Valentine table is so pretty! I love how you mixed the pink in with the red and white. The teapot centerpiece, all your dishes and glasses, and your napkins are so beautiful! 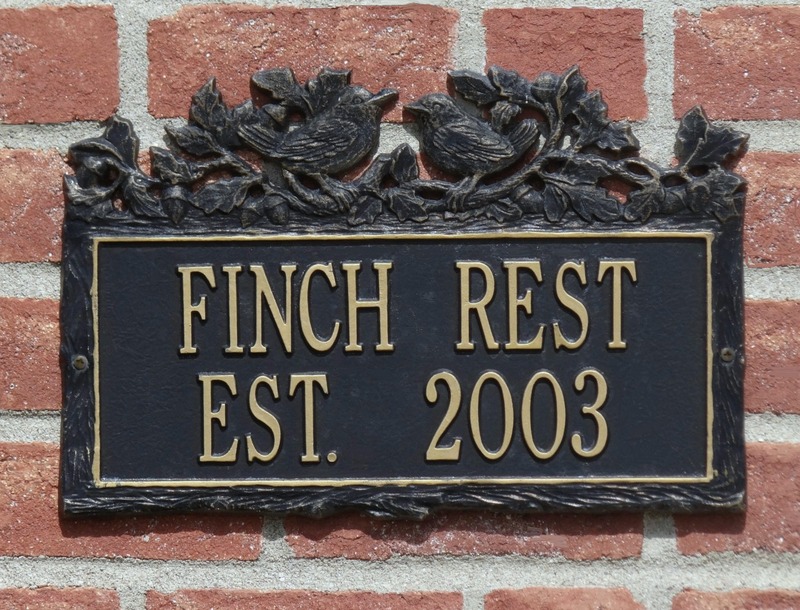 Your guests surely felt very special!